With brands today running highly profitable Facebook campaigns across all industries and a staggering 94% of social marketers using Facebook’s paid ad platform to generate sales, leads, and traffic for businesses. Facebook's ad platform has an insane amount of targeting options and potential ways to customize your campaign. With all of the potential ways you can reach someone on Facebook to get a sale, lead or action on your site, you are bound to find the right metrics and tools for conversions. There has been a growing amount of advertisers on the Facebook platform. With all the new advertisers, there come a few problems with it. That is, that if you're going to be on Facebook ads then you are going to want to optimize in order to achieve your objectives and goals. As well with the updated Facebook algorithm that now shows paid ads over organic posts and brands are now only reaching 6% of followers. This has forced businesses to get into paid ads if they want to compete and scale their sales. But with spending money on Facebook your going to want to make every dollar count. This means having better targeting, more effective creative, and a strong understanding of the data you have on your audience. The most minor changes to your ads can affect performance and your ROI. The wrong changes can lead to your Facebook ad being shown to fewer people or to not to be shown at all. If you’re already running ads on Facebook and are looking to step up your game. Then we've got you covered. With 5 advanced Facebook ads tips, you can start implementing immediately to increase sales, leads, and traffic. We’re going to break down some crucial tips that will positively impact engagement and conversions your Facebook ads get. So with that being said, let's get into it. When running ads knowing your target audience and what targeting parameters to use is everything. Not correctly targeting the people who are most likely to take an action on your site can mean losing out on huge opportunities for sales. Refining your audience targeting on Facebook can mean lower cost per click and lower cost per conversion. You might think you're targeting the correct audience or you may be targeting a more broad audience for hopes of capturing a larger amount of sales. But having "Broader Targeting" does not always mean more sales. Entering in your target audience information is a good starting point, but only if you use the audience targeting information that is most effective for sales. If you have the Facebook pixel setup on your website and you go check your analytics for purchases, you might find out that Dallas, TX gets the most sales for the lowest cost. So if you like to target other cities because you service those areas, it might not be worth it because people from those other cities are not as interested in what you offer. That’s why taking a good look at your Facebook pixel analytics before running your ad campaign is a must. The metrics that you can get access to provide key details on the people most likely to purchase from your business. Now to get even better results than this to create a custom audience based on the top 10% of people who purchase from your website. That way you can find out more information on your audience. Using these different options to create a custom audience can significantly improve your Facebook ads. The lesson to learn here is don't try to create an audience based on who you think your customer is. Just look at the insights from the people who are purchasing your products or service. If you want to generate more sales and increase conversion rates than remarking is for you. Remarketing is the one tool brands are using on Facebook to increase their sales substantially. Using remarketing gives you the power to create personalized messages to specific groups of people who completed a specific action on your website. In fact the more positive impressions you make on your leads, the more likely they are to eventually convert. Through effective remarketing, you can make those impressions count. Three out of four people now notice retargeting ads on Facebook. If someone is browsing specific exotic vacation spots on Airbnb website or app. Than a retargeting ad will appear with exact images of the place they where looking at staying in their Facebook. People are more likely to remember your brand when you pop up in their feed multiple times, and if you tie that in with the highlights of the product or service they were looking at than you are golden for getting more sales. People know you have the power to remarket to them with a personalized ad. So why not do it? If you want to start using remarketing the first thing you can do is upload your customer file. Uploading your current email list based on email opt-ins and purchases from existing customer data targeting this audience means you will have the most likely chance of getting more engagement and sales. One of the best parts to this is you can create a Lookalike Audience of potential new leads that are nearly identical to your existing customers. Facebook allows you to get as specific as targeting visitors who visited specific pages, looked at particular products, clicked certain buttons, stayed on your site for x amount of time, and so much more. The Facebook pixel more than likely if setup right will show you a visual of what your funnel looks like and how you can plug-in a targeted ad at each level to get more results. Using these parameters are perfect for giving out deals and discounts for people who almost converted, but need a little push to complete the purchase. You can learn more about installing the Pixel on-site in our quick guide to Facebook Business Manager set up. Create a custom audience for people who’ve watched your video ads for a certain length of time. This is just the tip of the iceberg for how many options you have for targeted ads on Facebook. The more information you can use to advance your Facebook marketing efforts the better. Facebook funnels have become very popular with some brands. Brands are starting to understand how their sales funnel works and what ads they can use to improve and increase the conversion process. If every time you make a post or run an ad that asks someone to buy now or purchase this. It just gets people annoyed and then they are less likely to convert and engage with your post/ad. A good rule to follow is the 80/20 rule. Honestly, your ads should not feel too much like an ad. When you do use ads to push for a sale there is a right time and place to do so in your marketing funnel. After all, there’s a reason why education-based ads, case studies, reports and free samples are so popular. Don’t neglect to reach out to an agency for Facebook ads. If you're having a hard time growing your results or if you want to take your campaigns to the next level, reaching out to an agency can definitely be worth it. If you are looking for better content to use for your ads then consider trying a form of user-generated content. Photos posted by your customers and using testimonials increase brand trust. It is a powerful marketing tool, especially given that UGC ads get higher conversion rates. If you have satisfied customers, then consider using them in your next post! Create segmented audiences and campaigns. It is so important to segment everything when running ads. We see so many businesses that think they can run one ad that will appeal to every type of audience, work in any step of a sales funnel, and sale every type of product they offer. That does not work effectively. You need to understand that you have to take people through each step of the marketing funnel such as running an awareness campaign so you can get people to become interested. That way when you show a specific message relating to the reason why they might not have purchased, you then will get more conversions because each ad you run has a specific message for each segmented audience. Creating ads that speak to specific audiences represents the building blocks of a top generating social media sales funnel that actually converts leads to sales. Let’s take a moment here to understand that if you are spending money on advertising, then you should be considering Facebook as a valuable source to get your desired goals achieved. If you're having trouble which ad is going to get the most results than try running a split test. You can split test many variables on your ad to see what works and what does not work. No need to have to figure out on your own which ad is the best. Let Facebook run those tests. Using a variety of different types of creatives, Facebook split testing experiments with many factors including ad placement, audiences, delivery, optimization strategies. For example, you could run a split test to see if a video or photo is better to use. If you're wanting to really get optimal results to try running a split test for each variable. That will laser your ads focus. This might seem like a pretty oblivious tip but it actually is highly underestimated. Most of the time people just click 'traffic' because they think that is what they need. That is to get more people to view your site so they can become a lead or purchase. Now choosing the 'Traffic' objective could make sense in some cases but knowing your options before you move forward is always best. This may not seem like a big deal, so let me break it down. If your marketing objective is to get more blog views than 'traffic' might make the most sense for you. Because you are looking for people who will visit your blog to read what you have put out. Now if your marketing objective is to get sales for your product then choosing 'catalog sales' might be a better option than 'traffic' because with catalog sales you can dynamically show specific creatives of your products and get people to purchase right then and there. Everyone's marketing objectives are going to be different and Facebook provides so many options to fulfill those objectives you want to crush. Maybe you just want to increase engagement so you can grow your followers. The engagement option is probably for you. Side note: these marketing objectives can be used on Instagram as well. Since choosing the wrong objective could potentially cause you to spend unnecessary amounts of cash. So make sure you know which objective you are going to go with. How do you plan to execute your Facebook Ads? 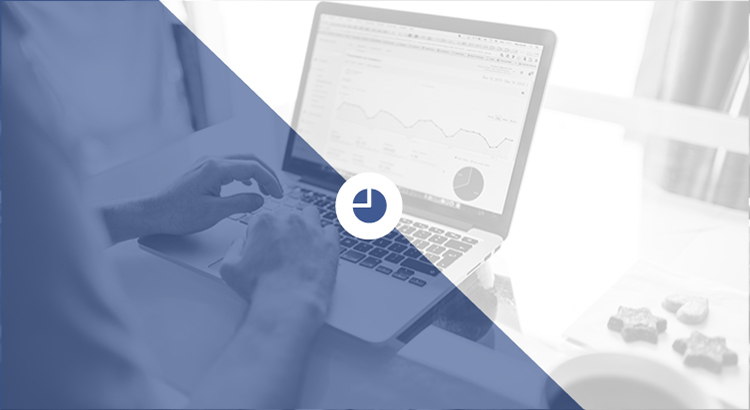 Running effective Facebook ad campaigns means you are going to need to understand each variable and know how to segment your audiences to get the most results. With all of the competition coming into the Facebook ad space, those who invest in the proper team and use the resources Facebook provides will give you an advantage over everyone else. But after all, there are 2.2 billion people on the platform so there is plenty of audiences to go after. Have you started to use Facebook Ads?